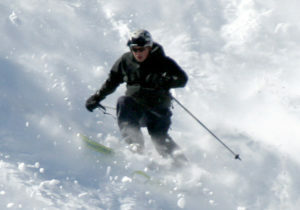 Summit Ski and Sports – Your Winter Sports Experts! We Are Your Winter Sports Experts. We've got packages for the whole family. Family Friendly. Fun. Affordable. Wolf Creek Ski Area, since 1939. Summit will Close Sunday April 14 through Tuesday May 7 for Inventory and Crew Vacations. Reopen Wednesday May 8 at 11 am. Thanks for a great Winter Season! In 1939 local ski enthusiasts began skiing the great snow on Wolf Creek Pass. Many years and thousands of feet of snow later Wolf Creek Ski Area is known world wide for it's abundant snow and friendly down-home style. Your Premier Apres-Ski Destination! With a 4.5 Trip Advisor Rating, Overlook Hot Springs is your go-to for a relaxing apres-ski soak and massage. On the rooftop of our historic Victorian in the heart of Pagosa Springs, you can soak outside with friends, watching the sun set and the moon rise...Check out our great reviews on Trip Advisor! Please note: if you would like to rent equipment, the correct form is found on the reservations page.